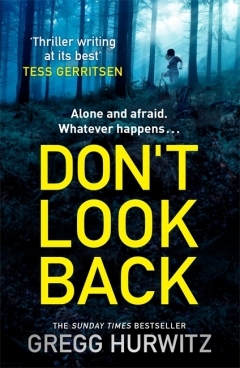 Don’t Look Back opening line: Terror came as a vibration, a plucked-wire note more felt than heard, primary to the deadening heat, to the flick of unseen insects against her face, to the oppressive night humidity that pressed into her pores. How far can Eve push herself? Can she overcome all odds to outwit a man who has been trained in the art of warfare? What should have been a holiday to overcome her divorce turns into a race against time, and against evil. If Eve survives she will get to see her son again, and this is what keeps her going. If she gets to safety she will save the lives she can, but if she gets killed trying to get out of the jungle in Mexico, the others will surely die as well. It should have been the holiday of a lifetime – a chance for Eve Hardaway to rediscover herself following her marriage break-up. Then she catches a glimpse of someone she should never have seen. She was not the first. But the woman who first laid eyes on the mysterious stranger has disappeared without trace. And soon Eve’s travelling companions start to follow. This book was so real I could hardly believe is is a work of fiction. The tension is palpable and I can highly recommend this page turner of a thriller, not only for the story, but as an insight to the hidden beauty of Mexico. Oh, sounds just like my kind of book – will have to look out for it. Sounds like an exciting, awe-stricken novel. It’s nice to read books that also highlight the wonders of a place. Thanks for the reco! Hope we have spare time to read this! !